In 2013, five of the largest peace and security funders in the United States joined forces to develop a new, collective approach to incentivizing and rewarding innovation in the nuclear threat field. What emerged was N Square, a path-breaking initiative built on the idea that new forms of cross-sector collaboration—combined with the sheer ingenuity of an engaged public­—will accelerate the achievement of internationally agreed goals to reduce nuclear dangers. A project of the New Venture Fund, N Square is a hands-on alliance between staff, funders, and advisors working together to bring new ideas, new people, and new perspectives to nuclear arms control. By fostering “high-impact collisions” between experts from diverse backgrounds, we help nuclear specialists gain new perspectives on the possibilities of their work as innovators and influencers from other fields identify smart ways to apply their own expertise to solving some of our toughest nuclear challenges. At the heart of N Square is the Innovators Network, a vibrant community of cross-sector leaders working together to prototype and pilot breakthrough approaches including open intelligence platforms, movement-building tools, and innovative uses of technologies such as blockchain, AI, and machine learning to verify arms control agreements. Innovators Network fellows are visionary leaders who recognize the opportunities embedded within tough challenges. They are scientists, game designers, Hollywood screenwriters, global security gurus. They are inventors, branding specialists, diplomats, Gen-Y satellite imagery analysts, and public radio producers. They are also philanthropists and investors keenly interested in sustaining systemic innovation and helping collaborative networks flourish. Erika leads a team that is exploring cross-disciplinary, collaborative approaches to reducing nuclear weapons threat, from engaging tech innovators to recasting the way nuclear weapons are portrayed in popular media. Part R&D lab, part venture fund, N Square’s approach reflects Erika’s long experience designing innovation programs in government, the corporate world, the NGO community and philanthropy. Morgan is a people-focused design strategist with expertise in strategic planning, systems thinking, and design thinking methodologies. She believes that innovation frameworks are essential to uncovering unexpected and effective solutions to nuclear challenges. She brings an MBA in sustainable management and a BA in international and intercultural communications to that task. 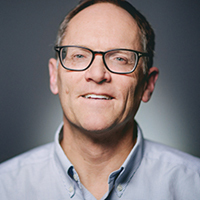 Paul is an expert on a broad array of nuclear weapons topics, with particular expertise on the Department of Energy’s nuclear weapons infrastructure—where warheads are designed, built, tested, and stored. He also is an expert on North Korea’s program and the challenges to limiting it, having traveled to the DPRK twice with nongovernmental delegations. Paul holds a BA from Rutgers University and a master’s in national security studies from the University of Maryland. 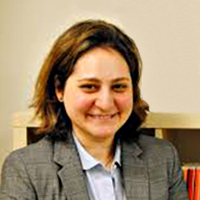 Sara has 15+ years of professional and academic experience in the fields of nuclear nonproliferation and nuclear security, holding research, analysis, and managerial positions at a national nuclear weapons laboratory, an NGO, a university, and at various think tanks around the world. This diverse background is a clear indication of her openness to learning new processes and approaches. She has a PhD in political science from University College London and is the author of two books and numerous articles. Eric provides consulting support on strategy, fundraising, and communications to nonprofits and foundations. Prior to starting his firm Brownbridge Strategies, he led communications for the William and Flora Hewlett Foundation for a decade. He has extensive experience in the environmental field, and he was press secretary and speechwriter for Congresswoman Nydia M. Velazquez of New York City. 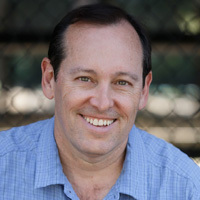 Eric holds a BA in political science from UC Berkeley and an MA from Stanford University. Ayaka has been creating and executing marketing and communications strategies with social impact for over 10 years. In addition to her work with N Square, she works with the Natural Resources Defense Council to change consumer behavior to reduce wasted food. Ayaka previously worked at Pacific Gas & Electric, managing a program that serves 1.4 million customers in low income and diverse multicultural segments. 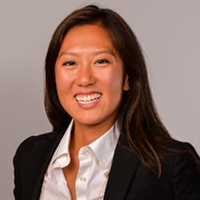 Ayaka has a BA from Bowdoin College and an MBA in sustainable management from the Presidio Graduate School. Part journalist, part anthropologist, Jenny helps authors and organizations find sticky ways to communicate their visions and their stories to a wider public. 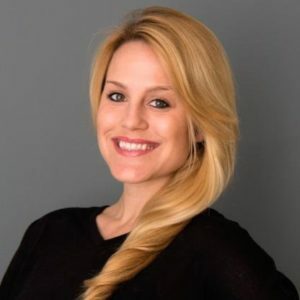 In addition to her work with N Square, she develops and writes publications for a range of foundations, businesses, and nonprofits, helping them embrace the notion that storytelling is strategy. She holds an AB in cultural anthropology from Princeton University, an MA in the same from the University of Colorado at Boulder, and an MS in journalism. With 20-plus years in the travel industry, Cindy has never met a complex travel plan that she couldn’t sort out. She has organized national meetings and incentive trips for groups of up to 1,450 global attendees and has conducted site research and analysis for group destinations including France, Germany, Bali, Hong Kong, Japan, the Caribbean, and across the US. Contract negotiations, cost comparisons, and client and vendor relationship management are all in her wheelhouse. 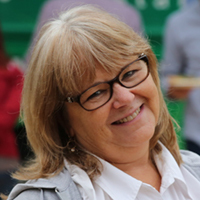 Donna is founder of DB Solutions, an event/meeting planning and production company based in the Bay Area. She has been in the meeting and event business for more than 25 years, successfully operating hundreds of programs all over the world, from small executive board meetings to full blown corporate incentive programs to large (5,000+) conferences. She holds a BA in geography from California State University at Chico and loves hiking and travel. 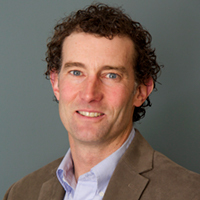 Bruce is director of policy and global security at Skoll Foundation. Previously he led Skoll Global Threat Fund’s nuclear nonproliferation and Middle East work and spent nearly a decade in the technology sphere with Oracle and Novell. Bruce began his career in the US State Department, serving in Saudi Arabia, Swaziland, Italy, and in Washington, DC, working on, among other initiatives, the G-7 process, peace in the Middle East, and nuclear safety. He holds a BA in international relations from Pomona College and an MA in international affairs from Johns Hopkins. As program officer in international peace and security at Carnegie Corporation of New York, Carl manages a portfolio of grants to strengthen nuclear security. In this capacity, he heads Carnegie Corporation’s work on strengthening nuclear governance and investing in the next generation of nuclear experts. He is especially interested in the intersection of new technologies and nuclear risk. Emma is director of the MacArthur Foundation’s nuclear challenges program. Prior to joining MacArthur, she was a Stanton Nuclear Security Fellow at the Council on Foreign Relations. 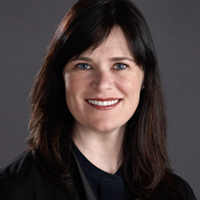 She has also worked as an advisor in Australia’s Department of the Prime Minister and Cabinet on national security and international affairs, and as a public affairs officer at the Australian embassy in Washington, DC. She holds a BA from the University of Melbourne and a PhD and MALD from Tufts University’s Fletcher School of Law and Diplomacy. 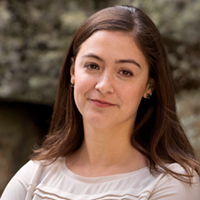 Michelle is director of programs at Ploughshares Fund, where she leads the grantmaking team. Prior to joining Ploughshares in 2015, she conducted research at the James Martin Center for Nonproliferation Studies on nuclear, chemical, and biological cooperative threat reduction programs. Michelle holds an MA in conflict resolution from American University and graduated with honors from the University of Denver with a degree in international studies and French.